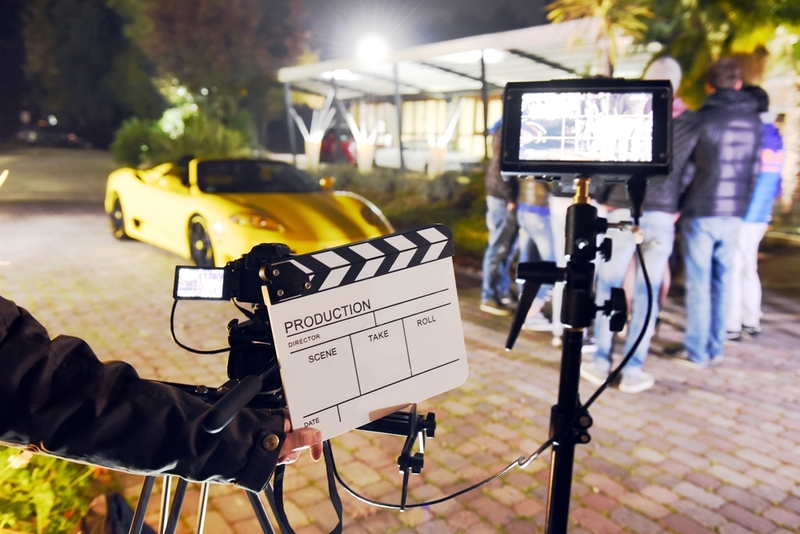 With movie theater ticket sales falling around the globe, is it time that the film industry tries something new and puts short films back up on the big screen – Short Film Format? Last year was another profitable year for the world’s film studios. Hollywood released a slew of new blockbusters, of which many were remakes or sequels. These films helped Hollywood take in more than $10 billion around the world. If we turn back the clock to just last summer, however, the picture wasn’t so bright. The summer of 2017 represented one of the worst in over 25 years. While commentators and industry insiders argued over the reason for this Hollywood pinned its hopes on its remaining blockbusters that it would release on the run up to Christmas. Fortunately, several of these blockbusters including Star Wars: The Last Jedi, Jumanji: Welcome to the Jungle, and Thor: Ragnarok succeed in bring in some pretty spectacular returns. However, what this dismal summer and generally pretty poor year at the box office demonstrates is that Hollywood is simply out of touch. What’s the cause of the problem? Well, money of course. While I have no wish to get into a lengthy debate as to why individual films may succeed or fail at the box office the overwhelming trend seems to be clear. While viewer tastes are certainly becoming narrower and narrower, the lack of originality permitted by money hungry studios is unquestionably putting many viewers off. While some franchises do seem to flout this rule, as The Fast and Furious series shows, even popular film sequels lose audiences in droves if they don’t provide them with something new from time to time. Some people argue that falling viewer numbers is largely a product of our changing habits. As people spend more and more time on their smartphones their attention spans decrease and they need more interactive entertainment – just like children. Coincidentally, this could be why most of this year’s animated feature films performed really well at the box office (I’m joking of course). To me, rising ticket costs might have something to do with it, but I am firmly in the camp that believes unimaginative films are to blame. I certainly don’t claim to understand what the mechanism of success is behind films like Fast and Furious, so I don’t feel qualified to comment in these cases. However, I am convinced that people want to go to see original movies, and do. Whatever the reason the truth of the matter, this is not just a passing trend. Movie theater audience numbers will continue to fall if things don’t change. I have to confess that one of my top 3 irritations of all time is people eating in the movie theater. There is nothing better to ruin a good romance scene or solemn moment than to hear someone sitting behind you stuffing popcorn in their mouth. While I’m sure many of us would love to see food in cinemas banned altogether, it is and remains a really cleaver way for theaters to dramatically boost their takings. A recent article in Time magazine revealed that movie theaters make a staggering 85% markup from food concessions. Once upon a time some smart theater owner realized that they could make more money by selling food. And why do people want to eat expensive food while watching a movie when most don’t do the same at home? It has to be to enhance the overall experience of going to the theatre. Watching a film on the big screen is a great experience. But for most of us the really great thing about going to a theater is sharing the experience with other people. Anyone who has ever been in a film where the whole audience is one minute roaring with laughter and the next sobbing in tears will know just what I mean by the movie theater experience. I believe that it is time for the movie theatre experience to get even bigger. Pixar’s second film A Bug’s Life began a trend within the company to include a short film before the feature, a trend that has seen its last 13 films shown this way. Given that Pixar developed this strategy under the stewardship of the late Steve Jobs, who let’s face it, certainly knew a thing or two about how to market products, perhaps the rest of the industry should stand up and take notice. It is time that studios, distributors and movie theatres get together and agree to show short films to support the feature film. Given that most short filmmakers would jump at the chance of getting their films shown in movie theatres, the likelihood of them having any objections is slim. Even if they didn’t receive much in the way of financial returns the opportunity to gain some serious prestige would be too much to turn down. Filmmakers could submit works to studios much in the same way as they do to festivals. Studios could then select films on the basis of quality, genre, and other such preferences. Perhaps the studios could even hold competitions where audience member get to rate the short film they most like, or even select the short film they would like to see next. Much like the introduction of food into theatres, this would have the effect of improving the ‘movie theatre experience’. The main advantage of showing short films before a feature film is that it gives the audience more. In the same way that an appetizer builds the diner’s appetite before the main meal, short films can warm audiences up for the main feature. Those who argue that showing a short film before the feature will put audiences off only need to see how well Pixar is doing to see that the facts prove the opposite. Not only will showing short films before a feature help boost audience satisfaction, which will undoubtedly bring audiences back to movie theaters, but it will also give a much-needed boost to the short film industry too. This will allow room for more short films to be made, giving more filmmakers the chance to get their foot in the door. Also, it will hopefully bring in new ideas and filmmaking techniques that Hollywood can adopt to help it start making some more original movies. Let’s hope that we see short films back in movie theatres very soon. Wow ! That is an Awesome idea! I’m a short film-maker and even I feel they are easier on the budget and can project an idea in minutes without really boring the audience.